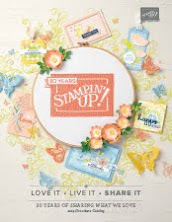 I'm so excited that the Stampin' Up! Holiday catalog is now available. It is filled with inspiring samples and gift-giving ideas for all of the fall and winter holidays. You'll want a copy at your fingertips to start planning your holiday project now! By now, my customers have received their copies of the new Holiday Catalog. 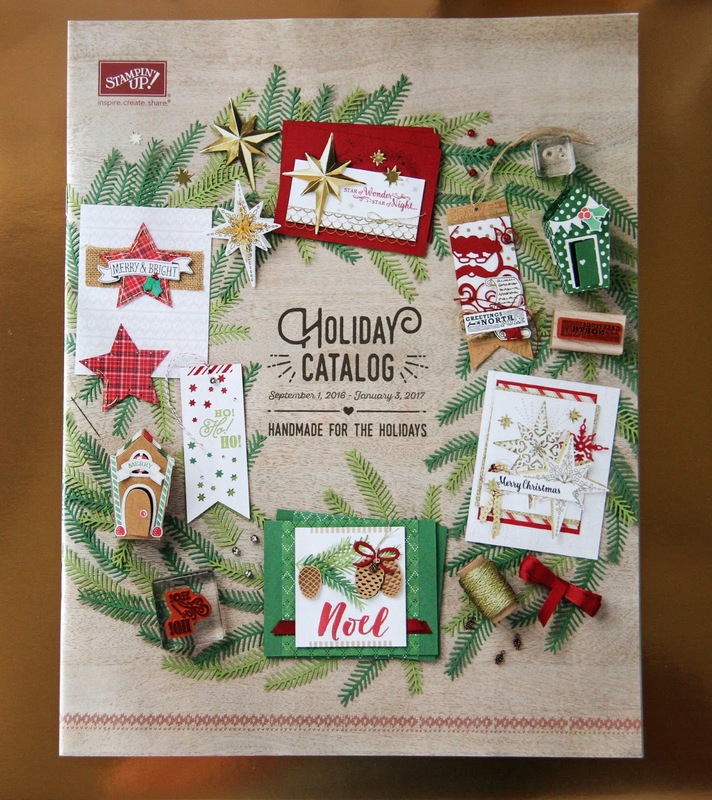 If you want a copy of the new catalog, you can download a free copy now, or add a copy of the 2016 Holiday Catalog to your next order; product number 143988. You want to take a closer look at these videos on how to use these new products. 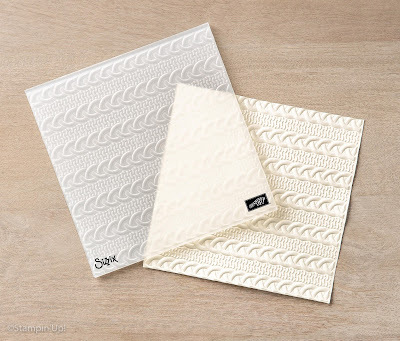 This new Dynamic folder creates deep, dimensional embossing impressions, and you'll want to see how to set up your Big Shot sandwich to use this new folder. The Cable Kit Dynamic Textured Impressions Embossing Folder was at the top of my list when I put in my catalog preorder earlier this month. It has already received heavy use in my studio as I've been working on samples using new Holiday projects. This video does an excellent job of showing various ways of adding ink to show off the designs in the Fancy Frost Specialty Designer Series Paper. 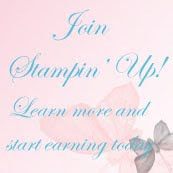 We've heard you're missing the weekly special Stampin' Up! previously offered. 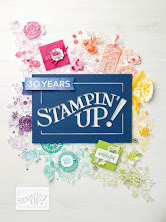 For the next three weeks, Stampin' Up! is offering weekly specials. This weeks specials were timed perfectly to add to my Holiday order at a 25% savings. You'll save 25% on these select products, too. Watch for upcoming weekly specials. 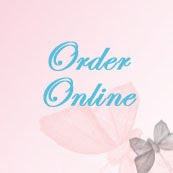 Place your order now at my on-line store. Want to receive this blog in your in box as soon as its released? Subscribe to my blog. Go to the right hand side of the page and leave your email address so you receive my posts as soon as I post. Lovely Lace Embossing Folder from Stampin' Up! 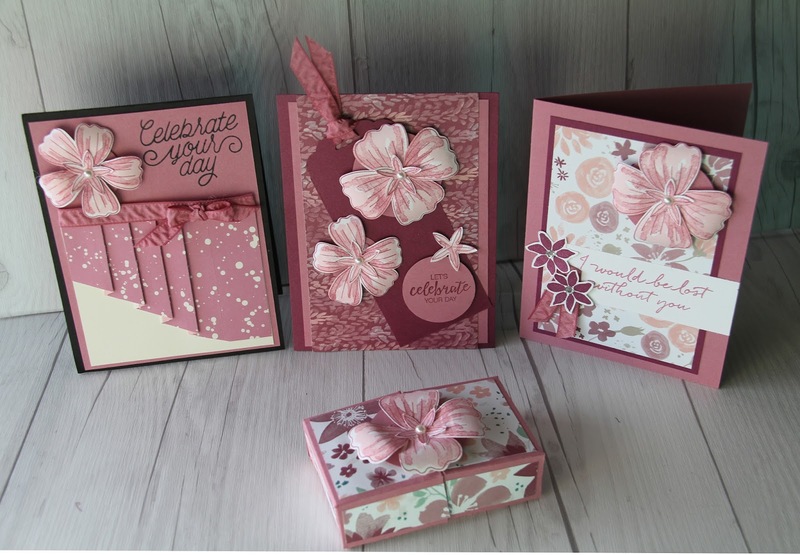 Star of Light from Stampin' Up!